Once in my childhood, when I was standing on a pedestrian crossing and waiting for speeding cars to pass by, a revelation came to me – “ God exists ”. This theme follows me my entire life. In all my works – portraits, still-life paintings, and landscapes – I think about it. 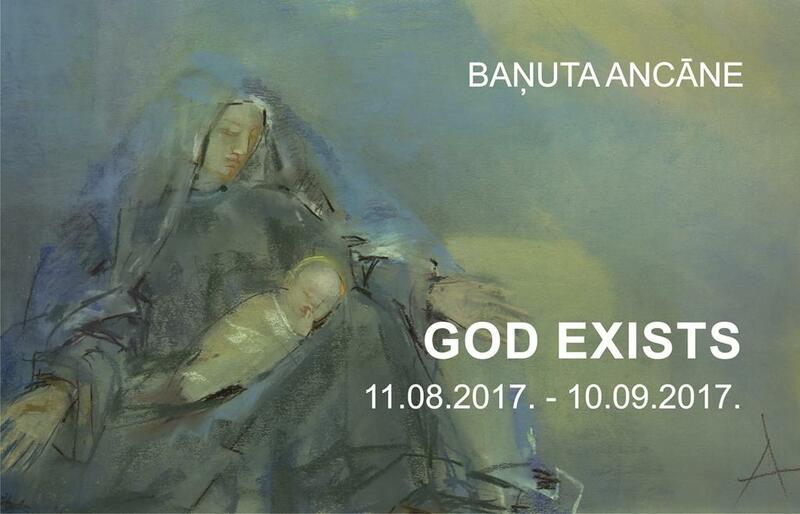 Many years ago, recovering from illness, the idea arose to create the works exhibited here in the pastel technique – it was a bright dream with the Mother of God. When I woke up I made a little sketch, which later turned into a large-size work “Our Lady of Riga”. Then the idea developed more rapidly. Later, during meditation, I saw the composition “The Pietà” in three different versions. For further inspirations I searched in the motives of nature and clouds, in shapes and silhouettes, in which much can be seen. The way of looking is the one that matters: someone may see a dog, while another one – an angel… I want to continue this eternal theme if my strength and health allows me to for man proposes, but God disposes.